This butterfly is sitting in half shade but the photograph serves well to illustrate that the forewing eyespots can be pupilled. 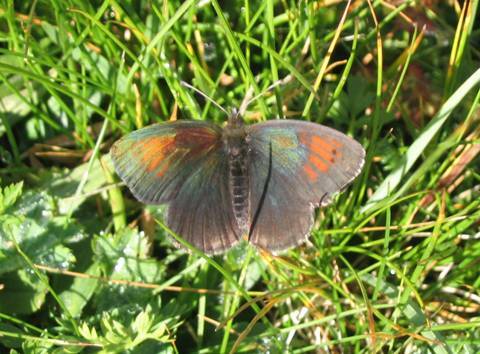 These photos were taken around 2200m where the butterfly was reasonably common. 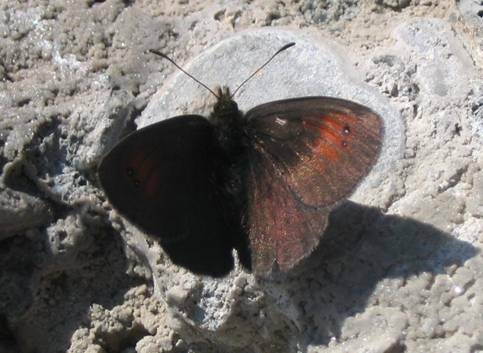 The two eyespots on the upper forewing were consistently very small and tightly against the right hand edge of the red area. Occasionally these eyespots were pupilled (illustrated above.) The red band continues below the eyespots but is noticeably narrower here. 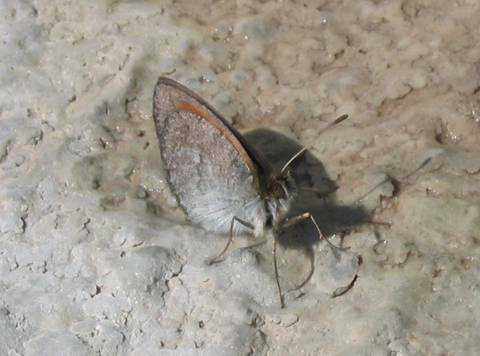 In stark contrast to the similar cassioides the upper hindwing is usually devoid of any markings. It would take a brave man to separate the two species from the underside of the hindwing though.